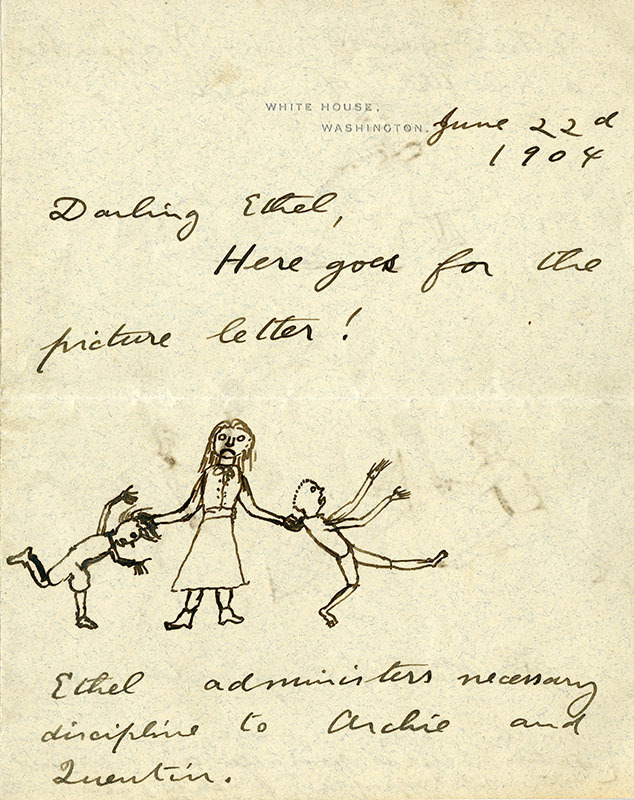 Well known for his larger-than-life public persona and exemplary progressive legacy, Roosevelt was also an attentive parent to his six children. 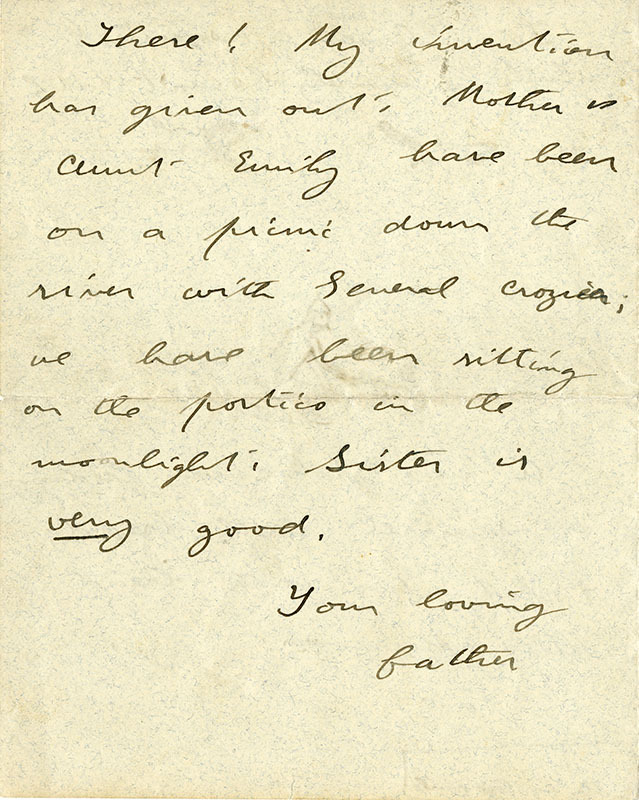 When he was away, TR wrote frequent letters about his activities, illustrated with humorous sketches. 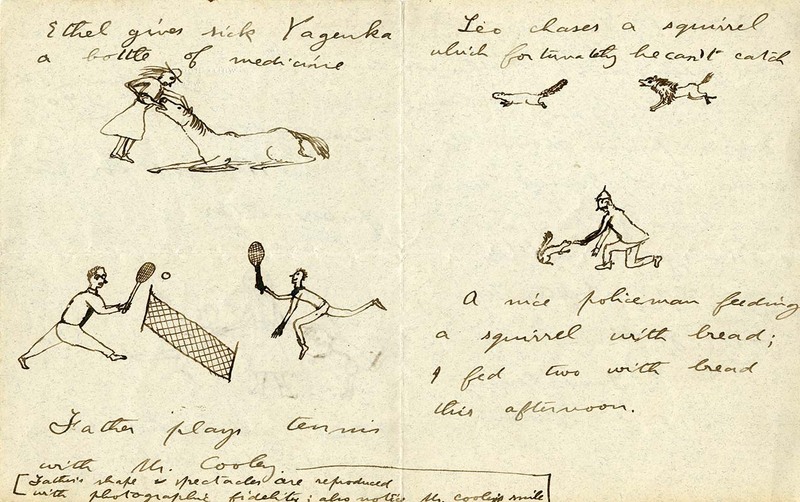 In this letter, sent to thirteen-year-old Ethel, TR cheekily describes his self-portrait playing tennis thus: “Father’s shape & spectacles reproduced with photographic fidelity.” The picture-letters offer a more humanizing portrait of TR, showcasing his kindness and humor.